An applicant form contains applicant profile information, such as their email address, and allows you to take in submissions to your application form and submission portal. In order to take in submissions to your application form, you'll need to have a place to store your applicant email addresses. 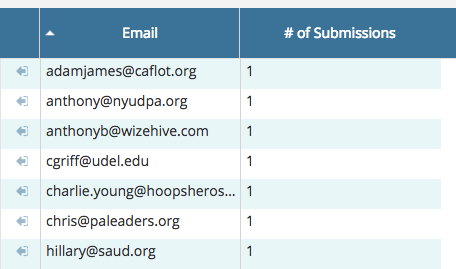 When new applicants apply to your program, their information (email address) will be recorded on the Applicant Form. Furthermore, the Applicant form is really easy to make using the form builder. Start by creating a new form using the Form Builder and label it "Applicant Form". 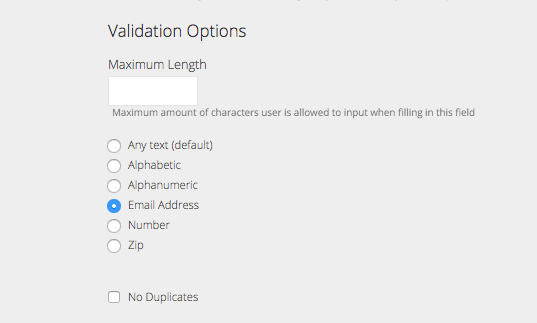 Then, create a Text field and apply email validation to that field, such that an applicant must enter an email address. Finally, save the form. This form is now available for use in any part of the system that requires an Applicant Form, such as a Submission Portal.